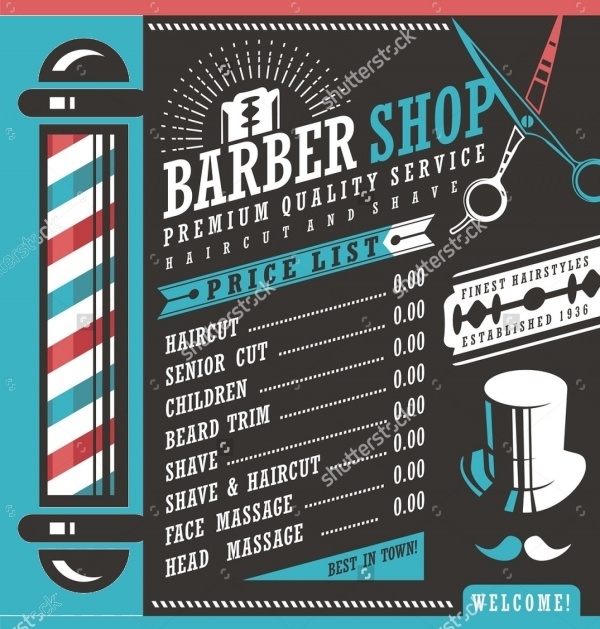 If you have just started a business or if you have worked on it for years then the thing that you would like to focus on would be advertising and promotion. 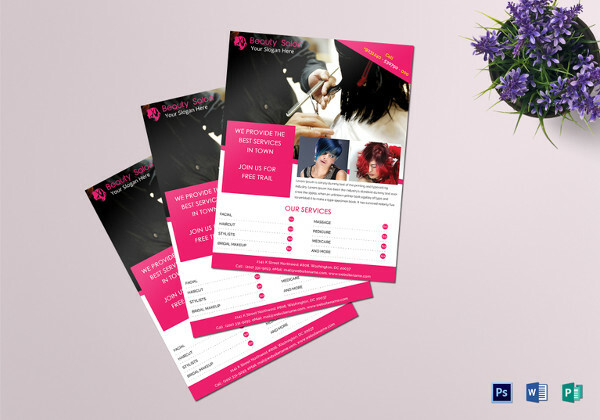 And not always is it recommended to spend loads of money to achieve what you want.You may also see PSD Flyer Designs. 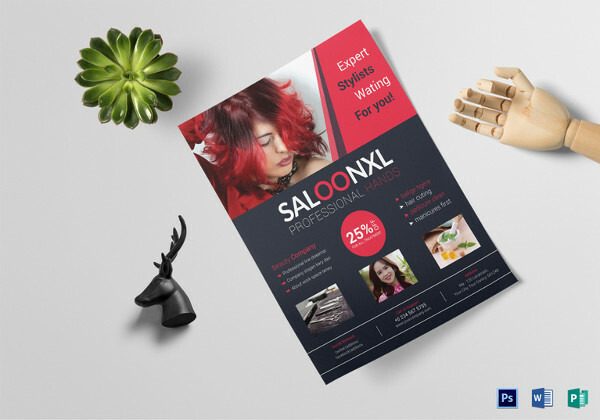 Use of flyers is an important aspect and with the availability of these amazing and cool PSD flyer templates, your work has been exponentially decreased. 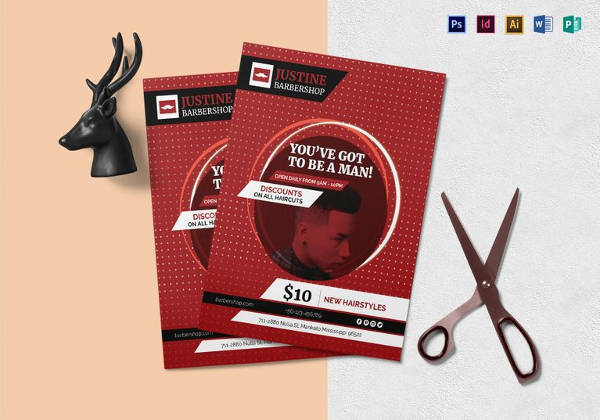 This is a list of some of the best barbershop flyer templates and mockups that can be used for promoting the shop locally and digitally.You may also Check Free Flyer Mockups. 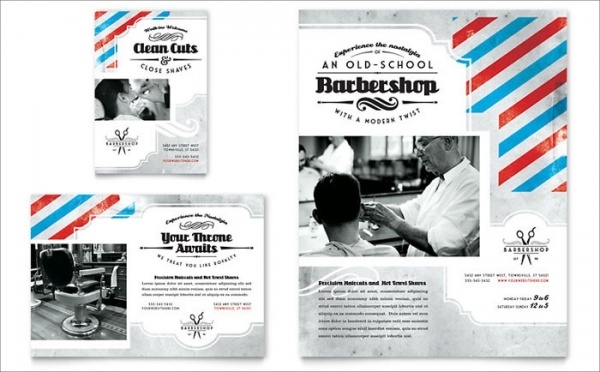 Add a retro look to this age old profession with the help of this beautiful barbershop flyer template. 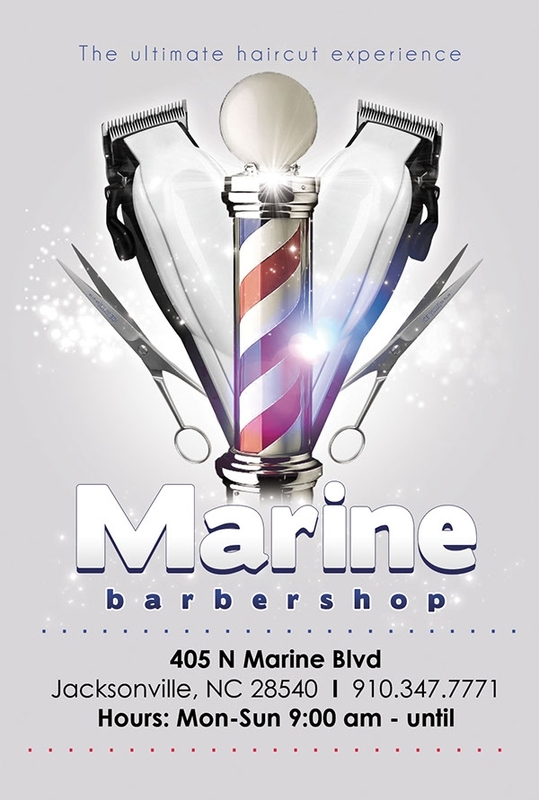 This design can be used for promoting the opening ceremony and even for general advertisement.You may also see Retro Flyer Designs. 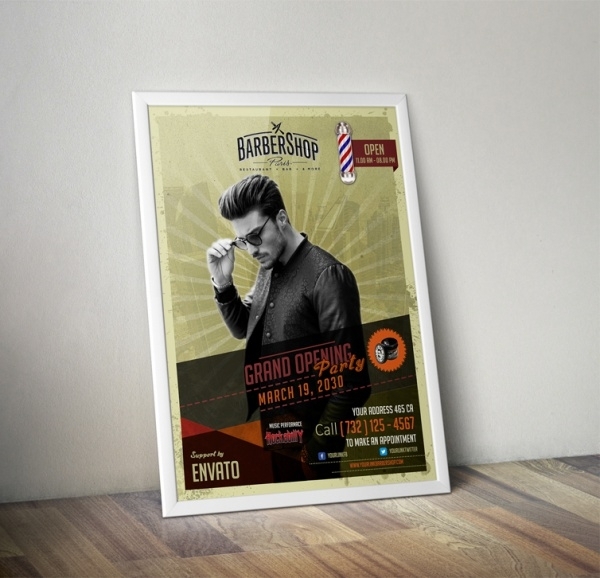 Here is another flyer design that is aimed towards promoting the opening of a barber shop. 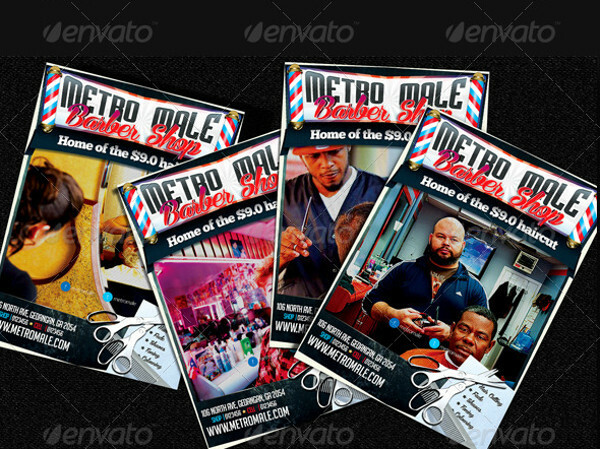 The download is a completely layered and organized PSD file, that you can even customize as per your needs. 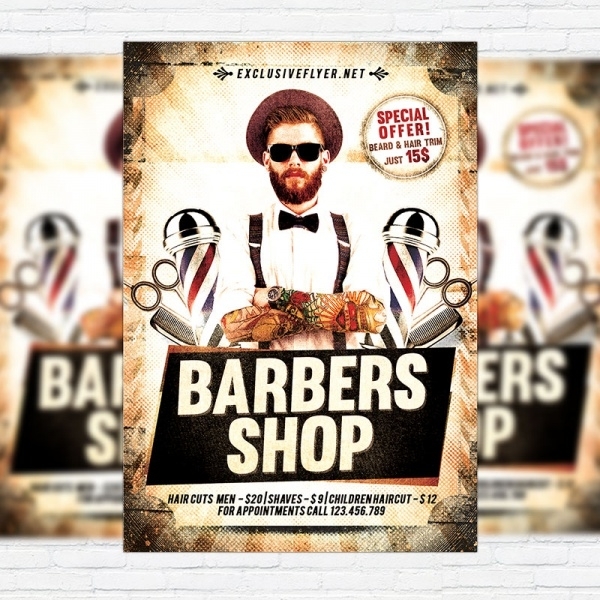 Check out this colorful and vintage flyer design that you can use for barbershop or any other fashion related ideas. 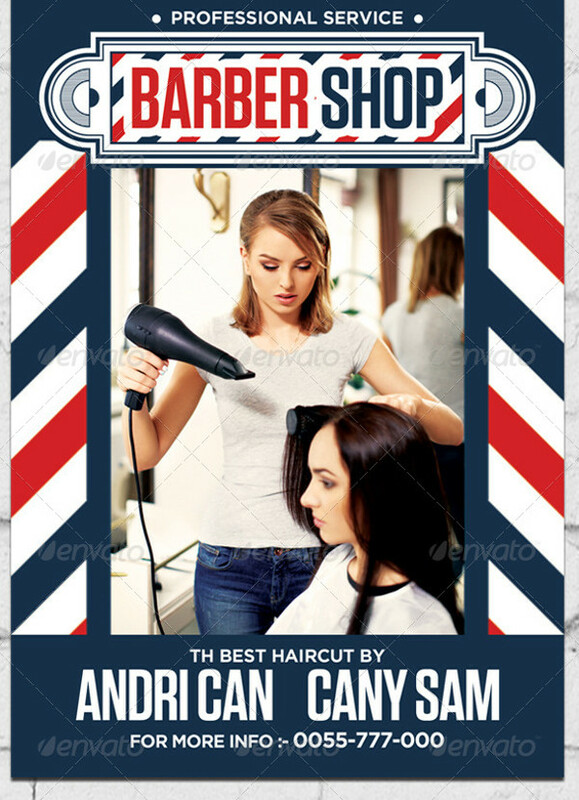 This is a stunning flyer design available on ShutterStock in high resolution. 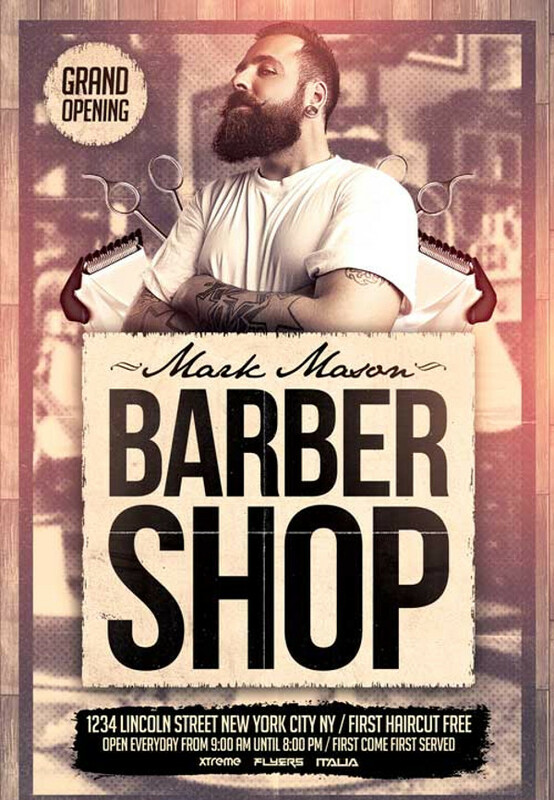 The design is available in multiple size options and can be edited as a vector graphic. 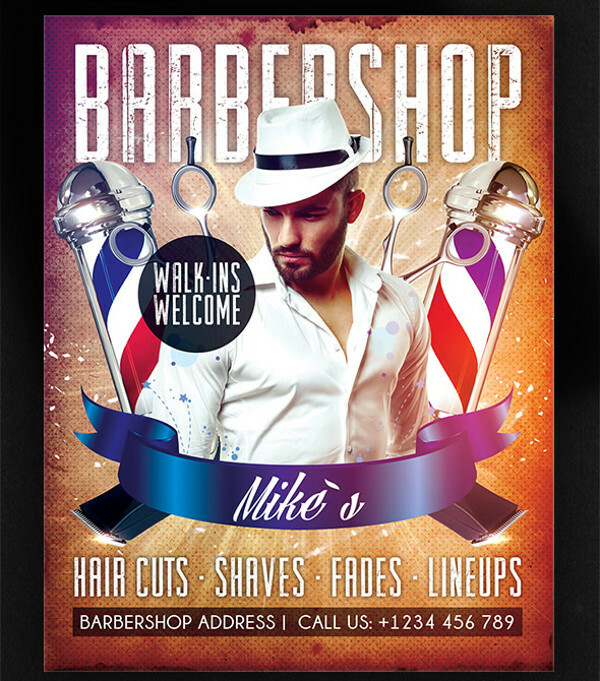 Here is a modern flyer template for a barbershop. 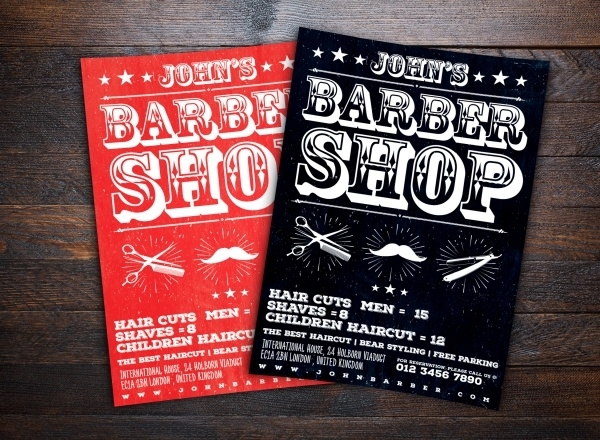 The design is available in both A4 and US letter sizes. 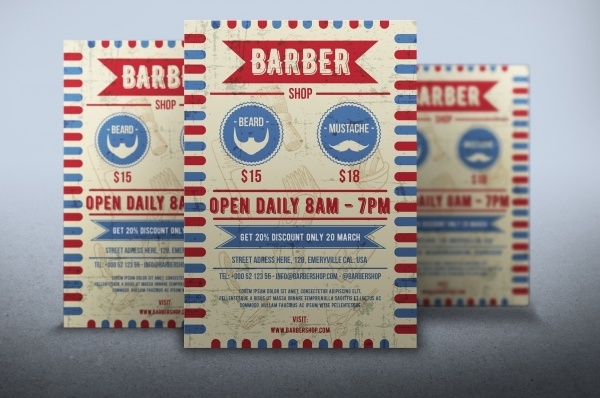 The design can be edited with the use of smart objects in Photoshop. 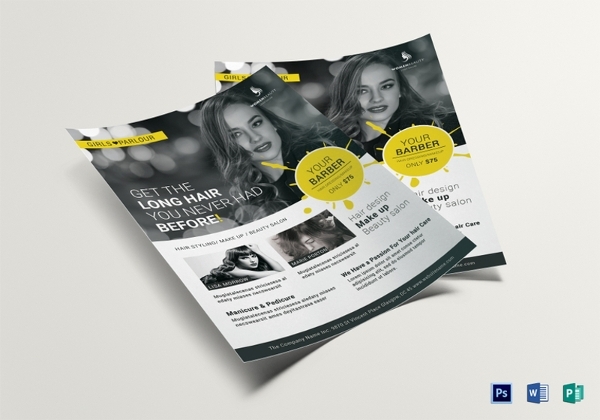 Download this minimal flyer design in 2 PSD files set in 4×6-inch size. 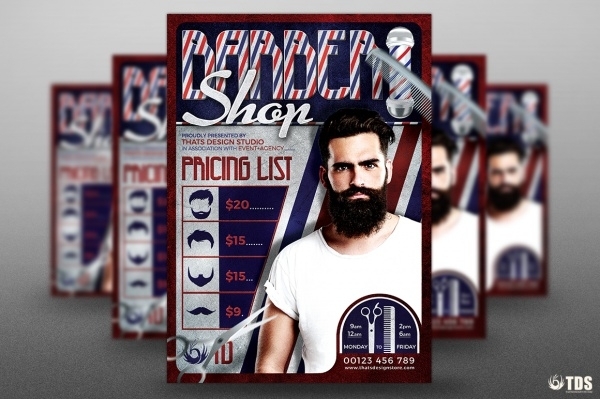 The entire content is editable in the layered PSD file. 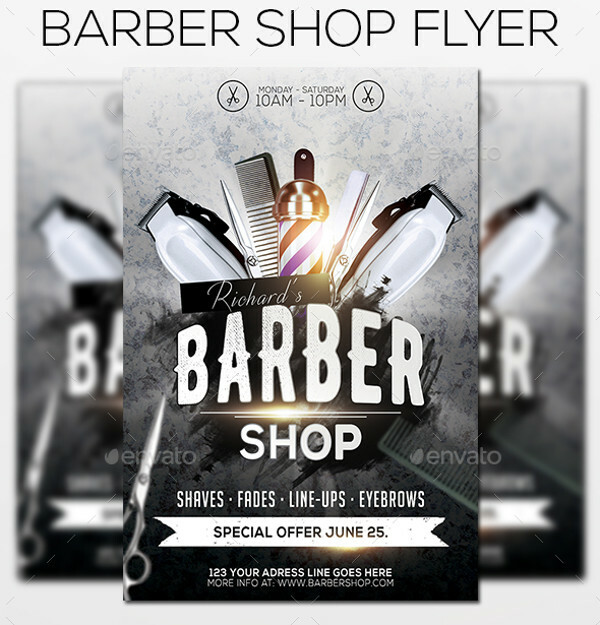 Download this simple yet cool flyer vector graphic now from ShutterStock for free. 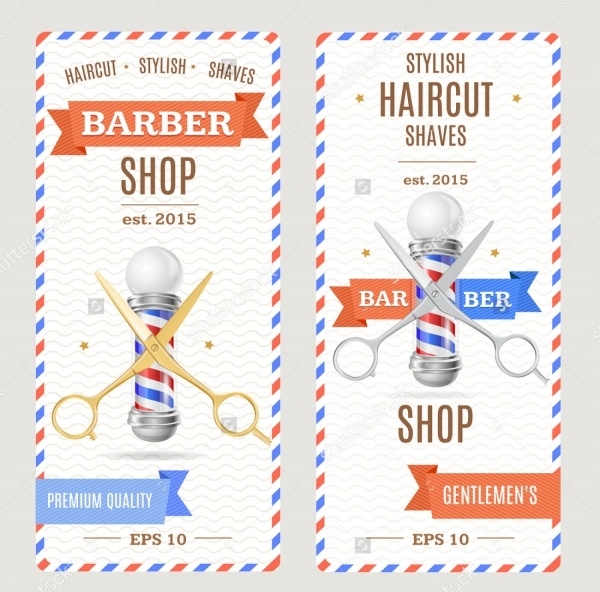 The high-resolution design has very little text as the design elements make it self-explanatory. 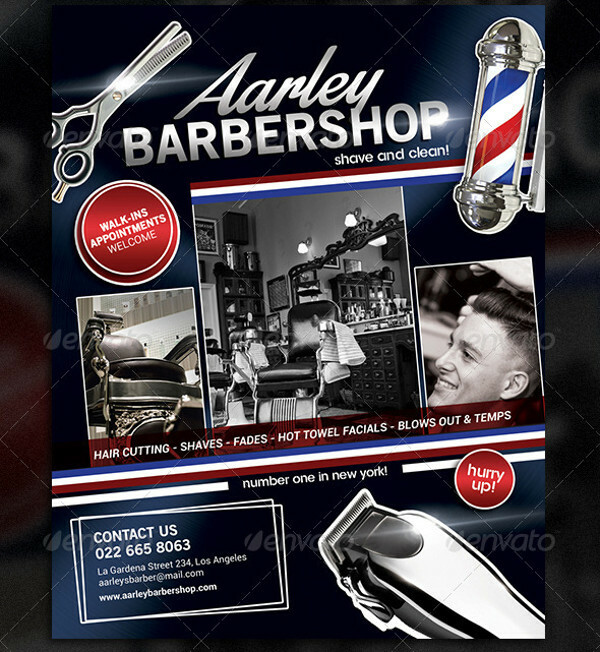 This is a professional barber shop flyer design that you can download from GraphicRiver for a modest price of 6 dollars. 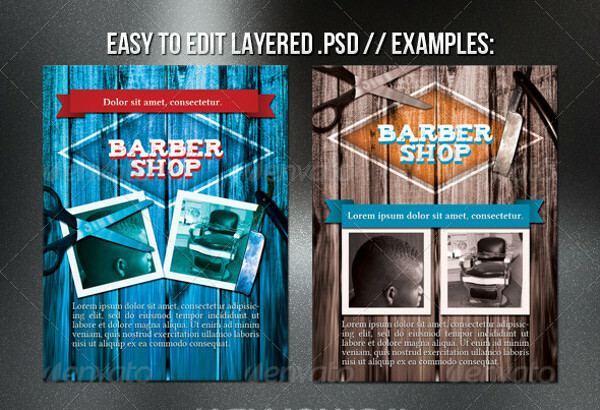 The download contains editable PSD file set at a high resolution. 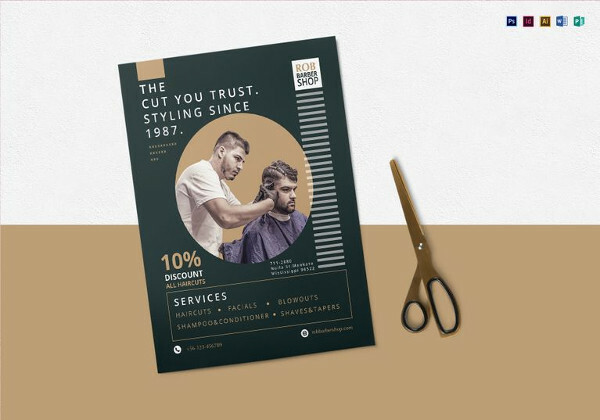 If you really want to capture the eyes of the potential customers then just go ahead and get a copy of this editable flyer template from CreativeMarket. 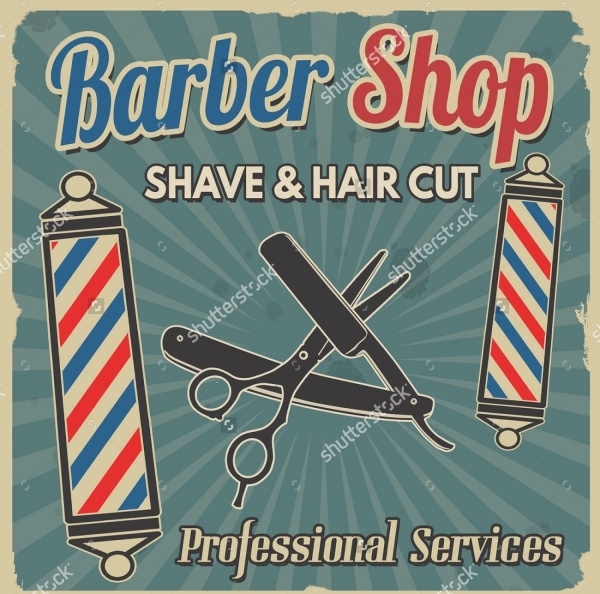 Here is another retro looking barber shop flyer vector that is available on ShutterStock. 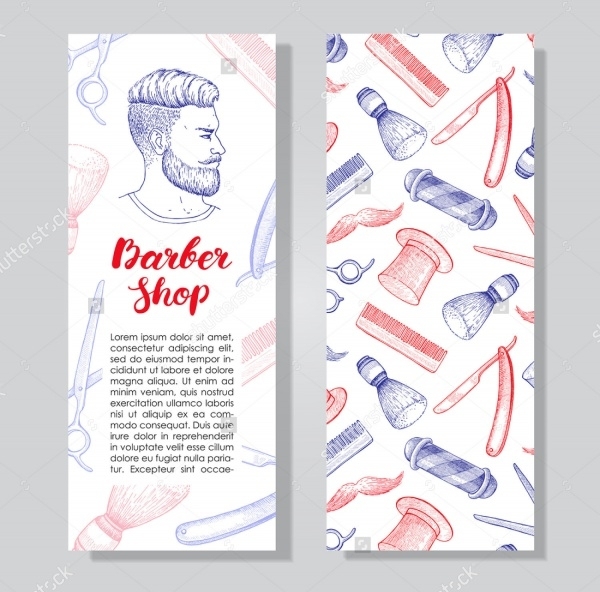 The design contains a lot of artwork which adds to the design layout. 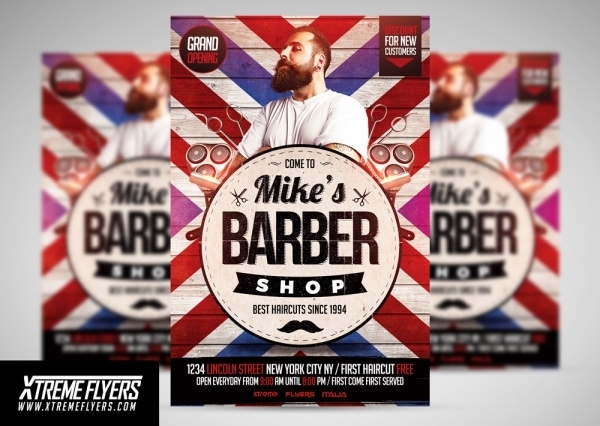 The last one is definitely one of the finest flyer templates we have seen so far. The design seems really elegant and flawless. 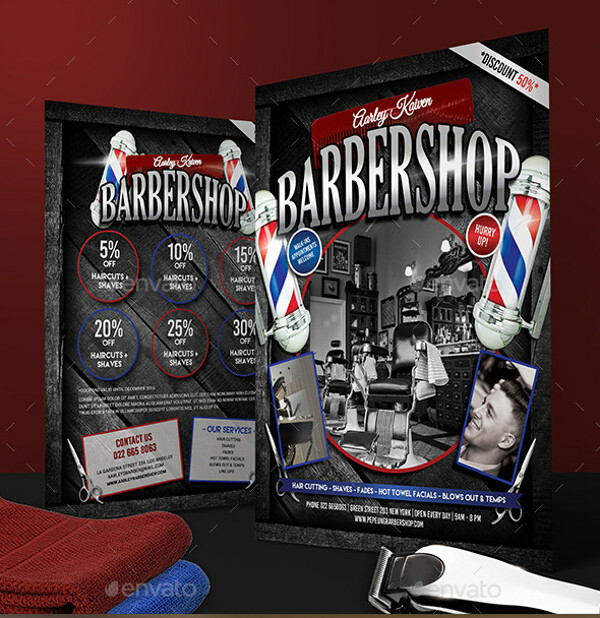 These great looking barbershop flyers will suit your purpose of any barber and salon related promotional flyer design. 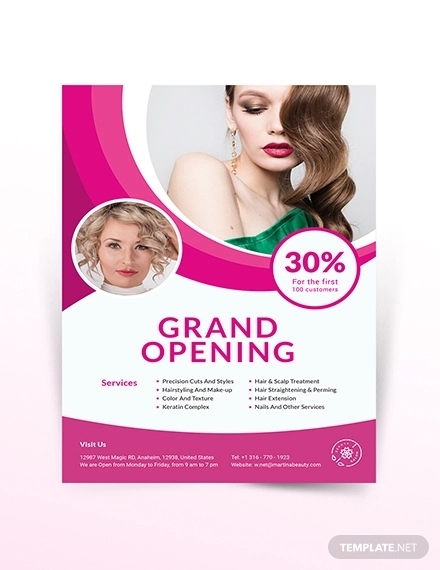 You can even start with some grand opening flyers for the starting day of any organization or shop. 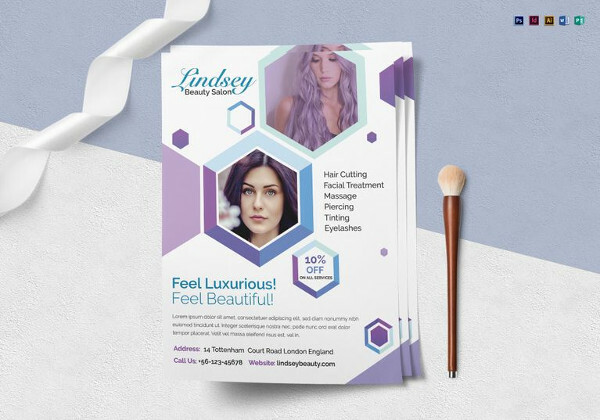 So pick up a design and get started on your way to creating professional flyers for your clients.